GARMISCH-PARTENKIRCHEN, Germany — Lindsey Vonn won her second World Cup downhill of the weekend on Sunday in a perfect dress rehearsal for the Pyeongchang Olympics. "Two wins is as good as it gets, really. It's just been a perfect weekend," said Vonn, who plans to compete in downhill, super-G and the combined event at the Olympics. "It has really been the exact preparation that I was hoping for going into South Korea." 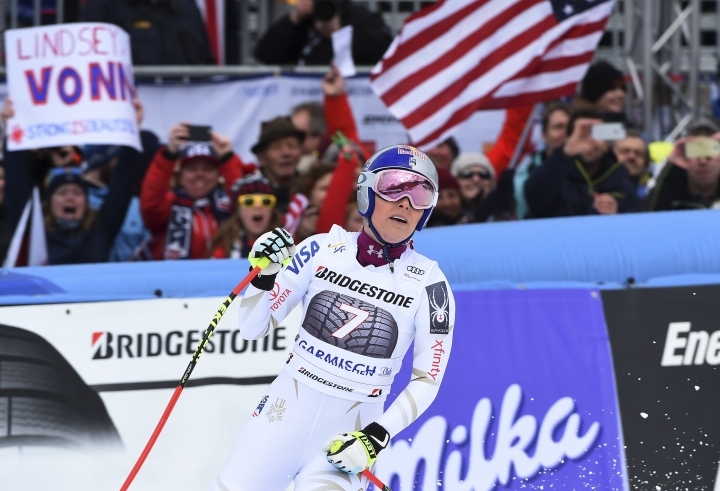 In a similar scenario to Saturday's race, Vonn beat Sofia Goggia for the win. The American clocked 1 minute, 37.92 seconds on the Kandahar course to beat her Italian rival by 0.11 seconds, after edging her by just 0.02 the day before. 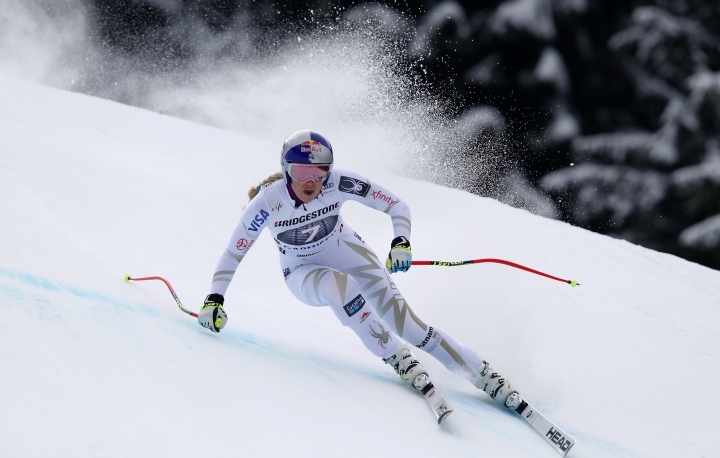 Goggia won two consecutive downhills in January but crashed in the race where Vonn started her winning streak. Vonn's American teammate Stacey Cook crashed and was taken off the hill on a sled "as a precaution," the U.S. ski team said, adding that Cook "is OK." Another teammate, Jacqueline Wiles, damaged her left knee in a crash Saturday and was ruled out of the Olympics. "You get a little greedy," Vonn said. "Once you keep winning, you want to win more. For sure, I will ski another season and see how high I can get the number. I know I can continue to win, I just don't know for how long. I keep racking them up for as long as I can and we will see what number I can get to." "I have really picked up a lot of momentum," she said after Sunday's win. "I feel really good physically, mentally. And everything is working well, my equipment is working well, my preparation is perfect. It really couldn't be better going into the Olympics." 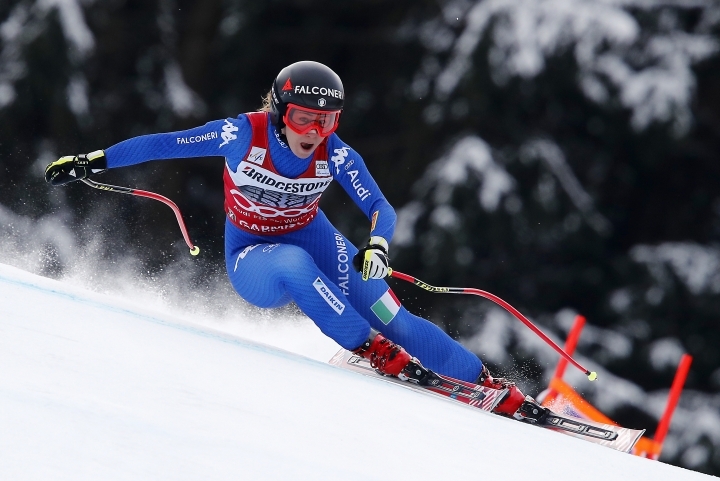 "I am pretty happy to come away from Garmisch with two solid runs, two solid races, solid skiing," the Italian said. "This is what I was hoping for after the crash in Cortina." 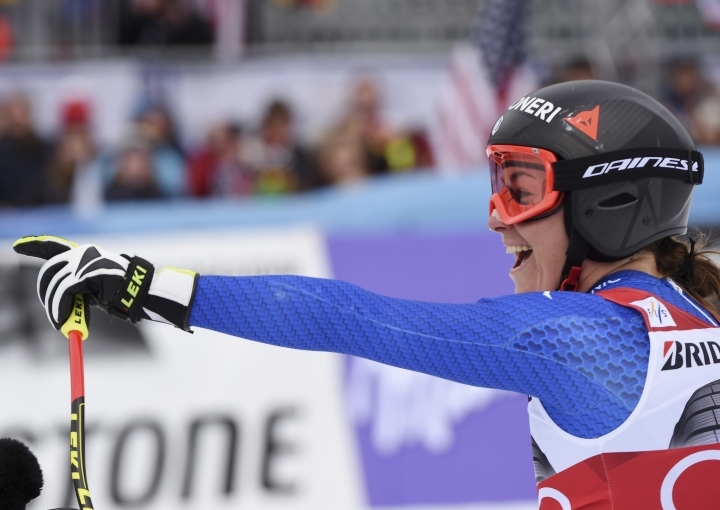 While the downhill rivalry between Vonn and Goggia has been shaping up nicely going into the Olympics, Weirather made it clear the competition isn't far off. "I am going to the Olympics with confidence," said Weirather, daughter of the two-time Olympic gold medalist from 1980, Hanni Wenzel. "The race today was important. I know that I am up there with the best."